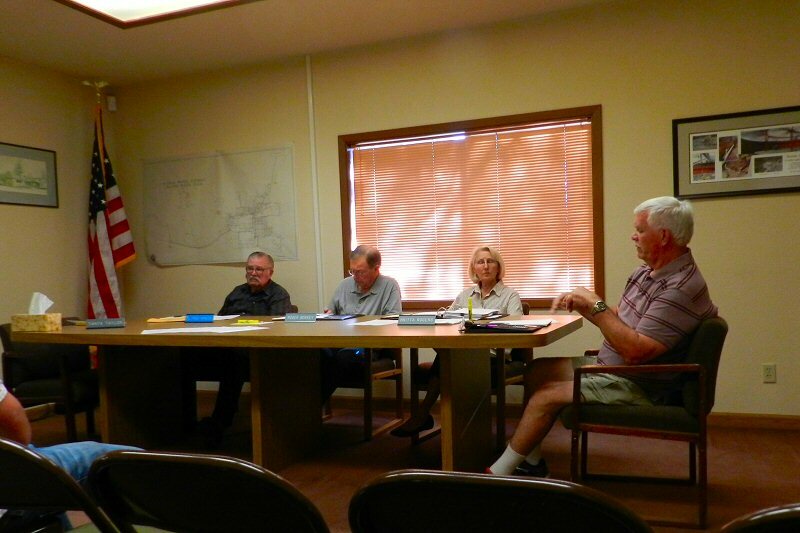 At their regular monthly board meeting on Thursday July 21, the Burney Water District Board of Directors voted unanimously not to raise rates for fiscal year 2016-2017. Board members present were President Jim Hamlin, Roger Borkey, Fred Ryness, and Britta Rogers. The Board acted in response to recommendations by District Manager Willie Rodriguez. While ensuring that they provide safe water to Burney residents, efficiently dispose of waste, maintain and upgrade infrastructure, and meet all state safety, environmental, and fiduciary standards, the board also wants to improve communication with customers and to explore alternative means of raising revenue. The board hopes to inform its customers as to its budgetary needs and reasons for rate increases in the future. It also wants to ensure that customers are aware of their right to protest rate hikes and how to do so if they so desire. Public notice to increase rates may again be posted in Spring 2017. The Board will provide a clear explanation of the need for such increases and will vote on those increases in June 2017. If increases are passed, they will go into effect July 1, 2017. Pursuant to the decision not to raise rates this year, the board also voted to delay passage of this year’s budget until their August meeting. At that time they will vote on a revised budget. In addition, Rodriguez said that the District will be working with Rural Communities Assistance Corporation to determine the average household income of the district. If the average household income is at or below 60% of the state average household income, then the district would be classified as “severely disadvantaged” and would qualify for certain ameliorating benefits regarding loans and grants. If Burney is in this category, this may help to limit future rate increases. If not, the survey will give an accurate assessment of where Burney stands. Rodriguez also gave a detailed report on sludge removal. Sludge removal involves several stages. Water must be pumped out, the sludge pumped out and dried, and then the dried waste transported by truck to a land fill site. Removal for this year this should be completed before the state deadline of October 15. The district is working to increase the number of dry ponds from 2 to 4 which will expedite the process in future years. The board briefly discussed alternative ways of decontaminating and disposing of waste. Fred Ryness asked whether there may be possible agricultural uses for decontaminated waste. Rodriguez explained that, presently, such alternatives are not cost effecyive and involve complicated chemical and environmental factors. However, he said that he would continue to explore alternatives in order to determine the best option for the district. In his manager’s report, Rodriguez told the Board that he had the opportunity to visit the water treatment facility in City of Shasta Lake and gotten some ideas for improvement of the Burney treatment facility. He also said that the District is upgrading their payment system so that customers will be able to pay their bills electronically. This should be in place by autumn. Stephanie McQuade gave the pool report. Pool attendance for the year has been good. There has been some fluctuation in attendance with the varying temperatures. There have been some problems with the chlorinator that are being worked on. In spite of the chlorinator problems, proper chlorine levels at the pool have been maintained so that the pool has remained open. Dr. Tim Kersten suggested using ozone instead of chorine to disinfect the pool and Rodriguez said that he would look into it. In addition, three unidentified youths have climbed over the fence at night on several occasions to engage in horseplay which caused some problems. Efforts are underway to better secure and monitor the facility and to take appropriate action if the culprits are apprehended. The next regular meeting of the Burney Water District Board will be on Thursday, August 18th, 2016 at 6:30 p.m. at the Burney Water District Office. The meeting is open to the public.